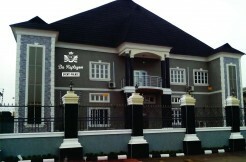 We are pleased to introduce to you our newly constructed ultra-modern events facility Lydia Halls and Events Centre. 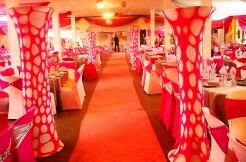 In the social circle of today, the venue of an event sets the pace and defines the social status of the celebrant. Hence, the need to ensure the comfort of your guests and give them a pleasurable experience at your event cannot be over-emphasized. 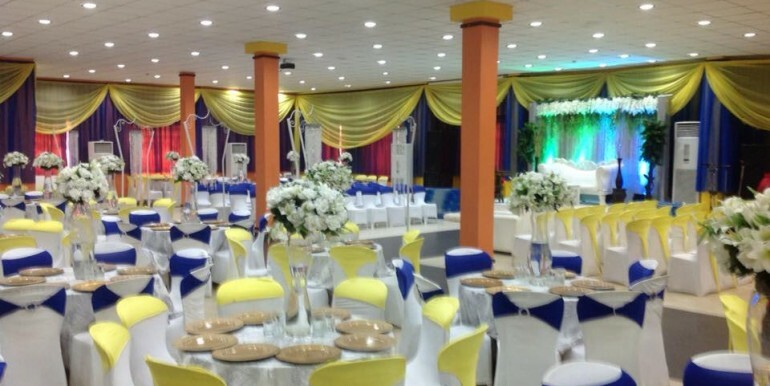 Strategically located at No 12, Limson Road, River Valley Estate, Gate B, Ojodu, Berger, Lagos (about 5 minutes drive from Alausa Secretariat and Ikeja) Lydia Halls & Events Centre comprises of three halls capable of accommodating 80, 350 and 400 guests respectively in banquette seating. 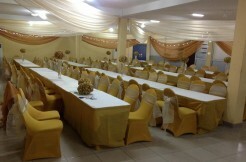 Our 3 halls boast of facilities suitable for personal and corporate events like School Graduation party, Cultural day event, Award giving ceremony, P.T.A party, Trainings, Conferences, Seminars, Annual General Meeting etc. 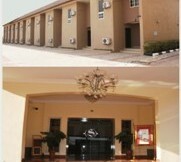 (12 units) 5-ton standing air conditioners in each hall, 2 Units, 200KVA Standby generator, Projector/screen, Large parking space, Inbuilt sound system, CCTV camera, Chairs and tables, Changing rooms/relaxation rooms, Spacious stages, Rest rooms for both male and female, Fire alarm system, Wash area, Cooking area to mention a few.